UPDATE: Dalton's own Gerber baby turns two! Gerber celebrated his birthday in Michigan on a Gerber farm Sunday. UPDATE: Dalton&apos;s own Gerber baby, Lucas Warren, is celebrating his second birthday. The company also shared a photo of Lucas sitting on his present, a kid-size John Deer tractor. Lucas made history earlier this year when he was named the company&apos;s first Gerber baby with Down syndrome. PREVIOUS STORY: Gerber shared a special message from Lucas Warren, the 2018 Gerber baby, and his family on their Instagram account. Gerber posted this sweet post Wednesday morning. Lucas&apos;s family also shared a message thanking everyone for their love and support on Gerber&apos;s Instagram Story. "Hey everyone, we just wanted to take a moment to thank you for all the love and support," Lucas&apos;s mom, Cortney, said. "We&apos;re grateful for this opportunity, and we can&apos;t wait to share more of Lucas with you." PREVIOUS STORY: The 2018 Gerber baby is Lucas Warren, a 1-year-old from Dalton, Georgia who is the first child with Down syndrome to be named a Gerber baby since the contest&apos;s start more than ninety years ago. "He&apos;s very outgoing and never meets a stranger," Lucas&apos;s mom, Cortney, told TODAY Parents. "He loves to play, loves to laugh and loves to make other people laugh." Cortney Warren said she entered the Gerber contest on a whim, after a relative pointed out an ad seeking submissions. After posting a photo of Lucas on Instagram using the contest&apos;s hashtag, Cortney and her husband, Jason, received the news that their son had been chosen from more than 140,000 entries to be the 2018 Gerber Spokesbaby. Bill Partyka, CEO and president of Gerber, says Lucas&apos;s smile and happy expression captured the hearts of the Gerber team. "Every year, we choose the baby who best exemplifies Gerber&apos;s longstanding heritage of recognizing that every baby is a Gerber baby," said Partyka. "This year, Lucas is the perfect fit." "We&apos;re hoping this will impact everyone — that it will shed a little bit of light on the special needs community and help more individuals with special needs be accepted and not limited," dad Jason Warren said. "They have the potential to change the world, just like everybody else." "He may have Down syndrome, but he&apos;s always Lucas first," said Cortney. 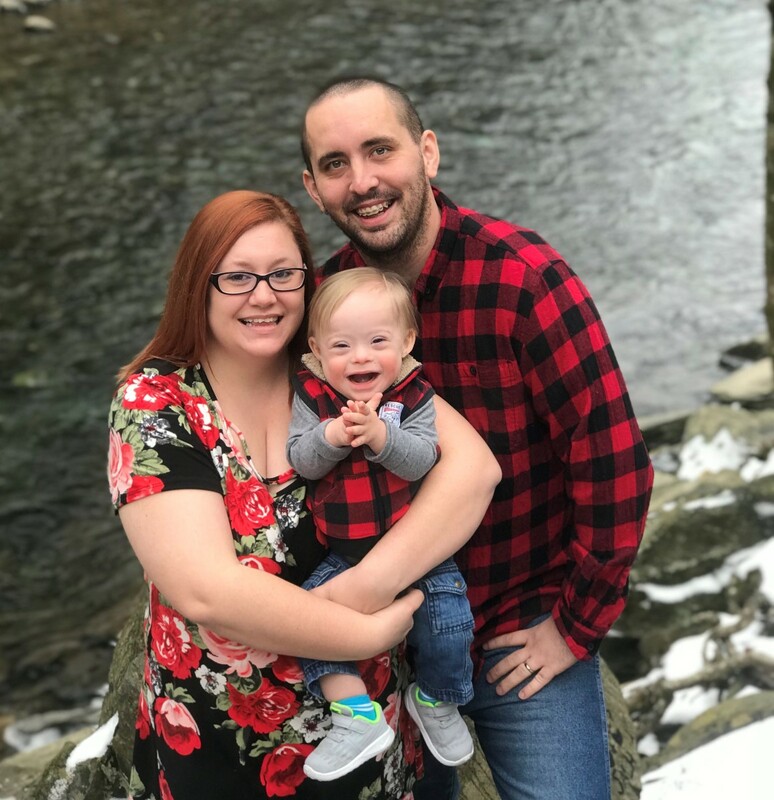 "He&apos;s got an awesome personality and he goes through the milestones of every child... we&apos;re hoping when he grows up and looks back on this, he&apos;ll be proud of himself and not ashamed of his disability."